Human versus Chess Robot: This is as big as it gets! 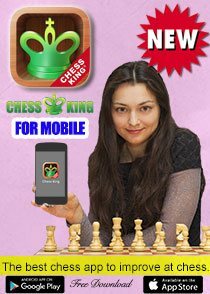 One of the strongest chess players in the world Sergey Karjakin will take on chess robot ChessKa for a prize-money of one million rubles. 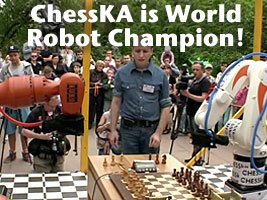 chess robot ChessKa (aka Chess Terminator) will be held during 'Metalworking 2013' at the Exhibition Center in Moscow from May 27-27. Karjakin stands to win one million roubles if he beats the 'machine'. Considering Mr ChessKa would not be getting tired so, in addition, kids from ages 6 to 10 in three age categories will also play with the robot. 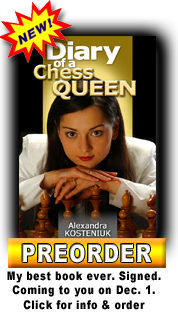 The providers of the event invite all young chess enthusiasts to compete with the robot and receive prizes. 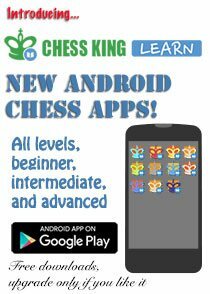 To apply for competition entry: chessrobot@yandex.ru. Blitz-tournament with robot for children from 6 to 10 years old. Ceremonial awarding. The commentator of the match is Grandmaster Sergey Shipov. Prize Fund is 1 million rubles. 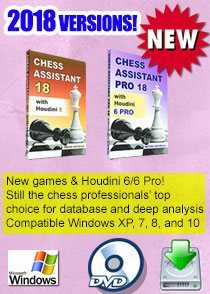 General sponsor – the Group of companies DAMATE, www.acdamate.com with the support of the nonprofit organization Fund for support of the chess art www.chessdvor.ru. 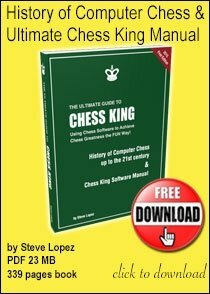 Konstantin Kosteniuk’s ChessKA is 2012 World Chess Robot Champion! This is big - I wish all the best to Sergey Karjakin. Considering his recent performance at Norway Chess he is in form. But guess ChessKa is no walkover. This will be fun. 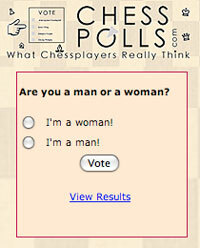 It would be great to watch this chess match live. I think ChessKa is invincible as of now. 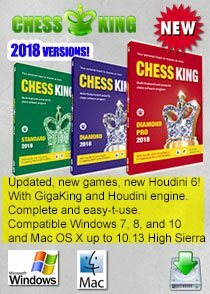 Taking nothing away from Karjakin who is a prodigy and as fine a GM as they come, but well machines are ahead for now. Let's accept it. I think we have a real human vs robot chess match here. Karjakin will get that one million rouble.